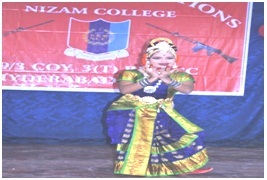 In the city of Hyderabad, Nizam College has occupied a prestigious position. 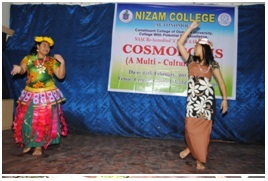 Nizam College was established in the year 1883. In the year 1910 Dept. of Telugu was established. The first Professor in the Department of Telugu was Shri. Raiprolu Venkatarama Somayajulu. He worked in Nizam college from 1910-1930, late in the year 1942 Shri. Kuruganti Seetharamaya took charge. 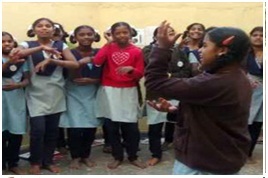 During his tenure, he began 'Telugu Saraswatha Samiti' for the students. 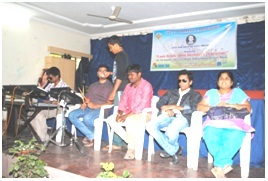 He organized many literature oriented sessions. Many great scholars from all over Andhra Pradesh used to visit sessions. In 1950 Garikipati Lakshmikantiah worked as a lecturer in the Department. 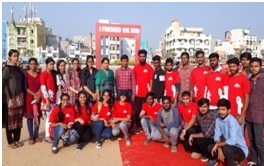 Department of Telugu was initially began only for the Intermediate students and later on extended for both Under Graduates students as (Modern Language) and in the year 1982 for Post Graduates students, because of which this college was associated with Osmania University and other constituent colleges. After repeated trials from 2009-2010. Department of Telugu was introduced in Nizam College. At present 700 students opt for Telugu as 'Second language' and 100 students as 'Special Language'. 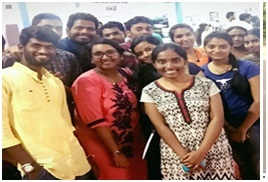 Department of Telugu has 90 students at M.A. Level. Many lecturers who has worked in Osmania University and also worked at Nizam College. 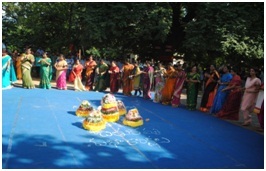 Every year Department of Telugu organizes 'Telugu Basha Dinotsavam'. Apart from this, the Students also conduct 'Guru Pujoutsovam' for the Lecturers in the Department. The students who had completed their U.G & P.G. Courses in the Department of Telugu, Nizam College, have got good placements in both private sectors and Government sectors also. His Teaching experience is 14 Years. Research Experience is 14 Years. 2 years administration experience as incharge principal of ASP Oriental Col- lege. His areas of specialisation are literary criticism and poetry. His areas of teaching interest are history of literature and modern writings. He has published hundreds of articles about literature, economic, socio, culture and politics. Books published: Poetry-4, literature-4, socio, political-6. Articles published: 50 research articles, 80 other articles, 100 poems also published in various magazines, Daily news papers. He is the member of Board of studies and Departmental Research Committee, Dept of Telugu, Osmania University. He is also the member of Board of studies and Departmental Research Committee of Faculty of Oriental Lan- guages in Telugu, Osmania University. Under his guideship 20 Ph.D. scholors are working. He is member of Telangana Saraswatha Parishath which is prestigies literary institution in Telangana. He is the Editor of Socio, Economic, political and litarary monthly magazines i.e. Poru Telangana, Nadusthunna Telangana, Nelavanka Sahithya Sanchika. And also two times worked as student editor of 'The Nizamian' College Varshika Sanchika(1996, 1998). He got state level First Prize in elecution compitition(1994). He has several academic Awards and Honours to his credit including UGC NET. He presented research papers in 30 UGC National Seminars. He wrote 5 literary ar- ticles about literates of Telangana and Telangana literature to Telugu Akademy. He is external examiner to M.Phil desertations of Telugu university and University of Hyderabad. 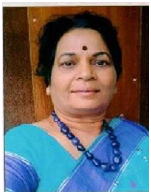 Dr. Vijaya Laximi as Passinate, Enthusiastic, inspiring and dedicated lecturer with 23 years Teaching experience at UG level 20 years and P.G level 15 years combing strong passion in teaching Professional skills and life skills. Motivate and inspiration students while teaching. Teaching experience I joined spoorty Degree college in (1995). Since that year iam teaching various college Degree level R.B.V.R.R. 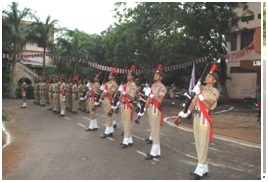 college Narayanaguda, Women’s College, Koti, and Nizam College. 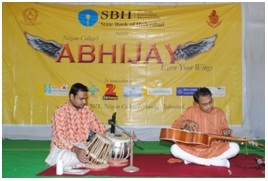 Working as Permanent Faculty from 2013 to till date. Publishing various Magazines’ and attended many National and International Seminars. I am very much interested in Social services, I wrote so many short stories and poetry Book entitled “Samudhram”. Dr. P. Nagendar has achieved a unique mark for himself as a poet, critic and writer. In a career spanning over two decades, he has published over hundred keenly focused, well appreciated analysis on different aspects of modern literature, “MOGURAM- A COLLECTION OF LITERARY ESSAYS” in his recent (January, 2012) Publication, much appreciated poetry collections like”Chikkanavuthunna Paata”, “Bahuvachanam", “Matthhadi” etc., had the honour of presenting his writings. His writings on Telugu Literature and on various identity agitations of the times have widely attracted discussion and appreciation. He presented 10 papers in U.G.C. level seminars on “Telangana Telugu Katha” and no “ Madelu Puranam- Prathyekata” and “Samakaleena Kavithwam – B.C. Vada Drukpadam”, and “Kalogi Kavithwam- Oka Parisheelana etc,. His undergraduate level teaching career started from 2001, and from to till date, his thirteenth year as a teacher, he started teaching Post Graduate and U.G. Level students at the prestigious Nizam College. His specialty is modern Telugu Literature. Earlier, all his major degrees, M.A., M.Phil., and Ph.D. have come from Osmania University. His these papers were “Jangama Katha- Oka Parisheelana” and “Samakaaleena Telugu Vachana Kavithavam – Praantheeyataa Drupadhaalu” for M.Phil and Ph.D. respectively. 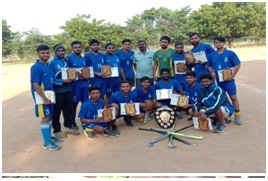 Telugu “Sahithya Vemarshana Prakriyalo cheysina Krushikiganu”, 2016 year ki – “Pellalamarri Vedavathi Jagannadham Smaraka Kreethi Puraskarani” 30-8-2017 “Potti Sri Ramulu Telugu Veshva Vidyalayam nundi pondaru”. This is Honorable Award. Dr. K. Narender has completed his bachelor degree in B.A(Literature) from Osmania university In 2001. And he obtained his masters M.A(telugu ) in 2003	from Arts college O U. he has completed M.Phil in 2005 from Arts college O .U, and Ph.D in 2008 From Osmania university . Dr. Narender has Qualified UGC-NET in 2011.,AP-SET in 2012. Dr.Narender He His attended national and international conferences presented papers ,Attended work shops . Has published many Reserch publications in Various magazinesand daily papers . He His administrator nizam college (Warden E2 hostel Mess) from 2013 to till date . He active patespation in the college many programs . He Working as a Assent Professor (PT) lecture science 2nd july 2010 to Till the date working as asst professor August 2014 to oct-2014 He His established Cultural society telugu association in 2017. 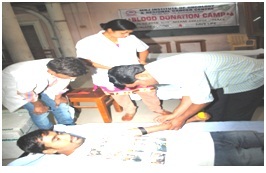 He His organized Blood Donation camp in E-2 Hostel in 2014 . 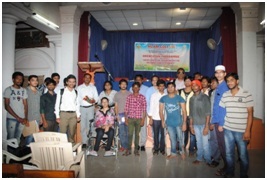 He His Organized Plantation program E-2 Hostel in 2014 . He His organized SWACHH BHARTH SWACHH NIZAM in Feb -2017 . Ph.D(Telugu) Awarded in oct, 2017. From Osmania University. 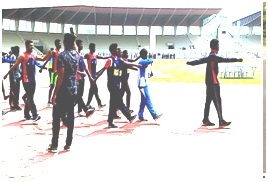 Hyderabad, M.A. Telugu June 2008. From Osmania University, UGC NET in June 2008. 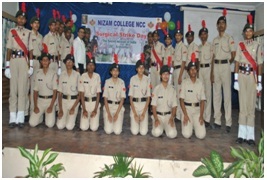 Starded teaching in Nizam College from august 2010 to till date. My Artciles are 5(Five), Seminar Papers are 5(Five) including one International Conference, teaching UG and PG. And M.A(Sanskrit) also completed in 2001 from Osmania University. 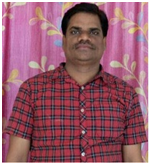 Mr. Naliganti Sharath Babu has joined the Dept.of Telugu on 1st August 2010, as P.T.L, Presently he is doing his Doctor research on “Telangana Gayaka Kavula- Sahitya Parishilana” from Dept.of Telugu,O.U. He is specilised in modern poetry in Telugu, He teaches Telugu for U.G & P.G Students.